Waterfall Info: This is the lowermost waterfall on Dicks Creek. It is roadside. 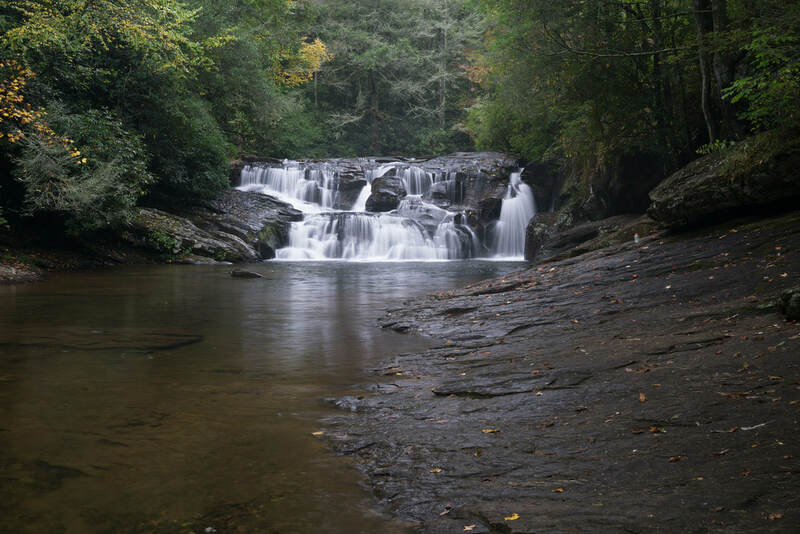 There has been a lot of confusion in regards to the name of Dicks Creek Falls, which is often called Waters Creek Falls as it is right below the confluence of Waters Creek with Dicks Creek. Access Info: Dicks Creek Falls is roadside along Dicks Creek Road (FS 34). You can see the waterfall from the road, and a short path leads to the base.